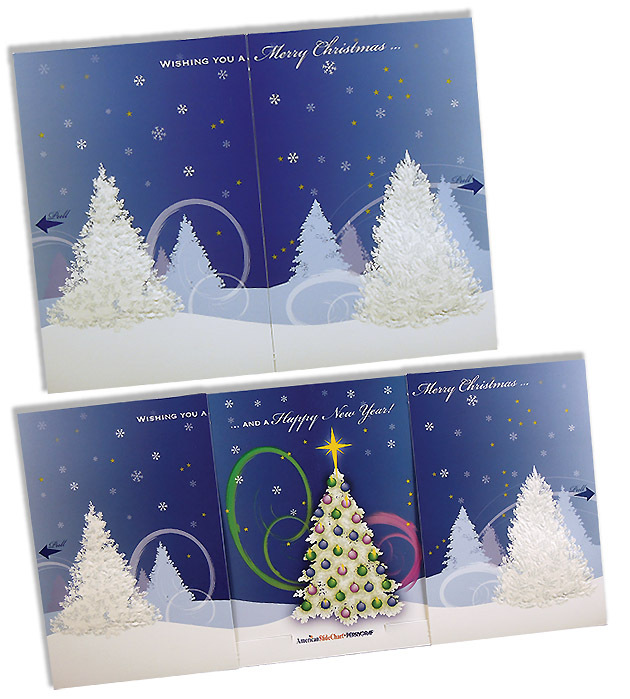 Home >Blog > How to make your Christmas card a WOW! I love the Christmas Season and all the Christmas Cards that get delivered. Whether it is at home or at work or by e-mail, each season comes with the influx Holiday Greetings. You have the e-cards which even the funniest make me think, that’s cute and then I delete. Then you have the cards in the mail that tend to include the generic front with generic message inside. I hang those along the doorway along with the others and tend not to think twice about them. Last you have those special cards, the ones with pictures and special personalized moments that you can’t help but smile at each time you pass. Which does your Christmas card encompass? Are you the bland or the wow? Do you want to take your Christmas Card to the next level, then try some of these example on how to make your Christmas/Holiday Card a WOW! This cute Santa Claus stuck in the Chimney made everyone laugh. 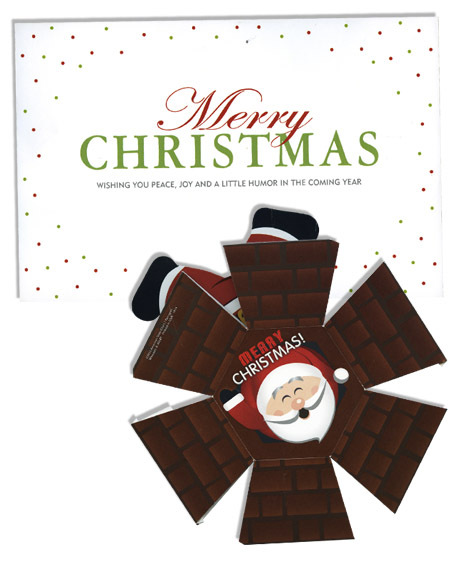 The clear envelope allowed you to see the funny Santa inside and want to open the piece. The Santa also came with a personalized Christmas Card. 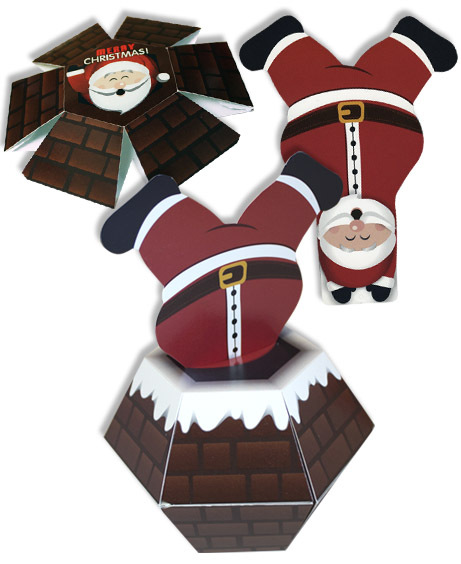 The Santa folds flat and is rubberband activated to pop into shape as it is pulled from the envelope. This Holiday piece pulls out to reveal a shining Christmas tree. On the other side it is personalized with a picture of all the employees. You will have everyone at the office playing with this fun piece (and remembering who sent it to them). This holiday pop-up is 2 items in one. 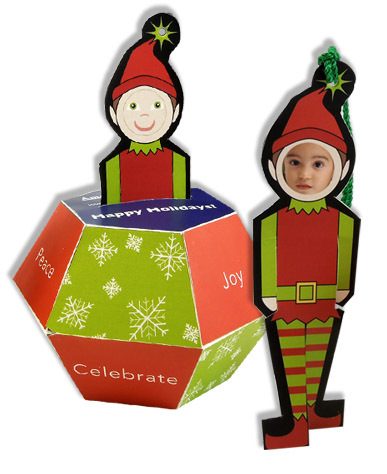 After they read your Christmas message, they can pull out the elf and create their own ornament. The face on the elf is perforated so you can punch it out and put a picture of your kid, dog, or self in for a fun little treat. 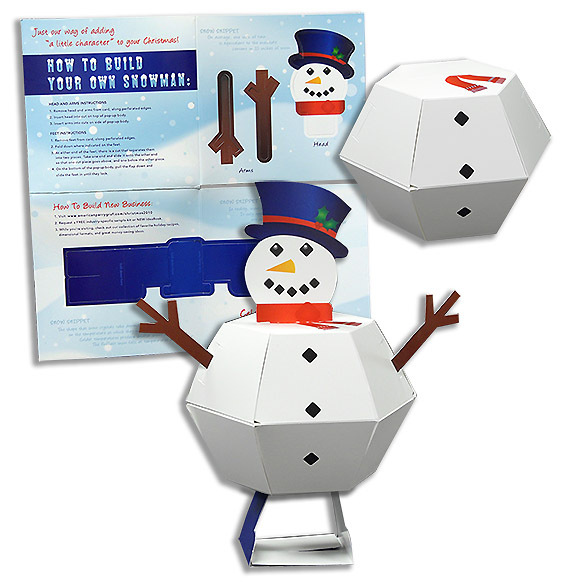 This second piece is great for kids and adults, everything folds flat for mailing and when you pull it out you can assemble your own snowman! It is fun to build and your client is sure to keep it on their desk. 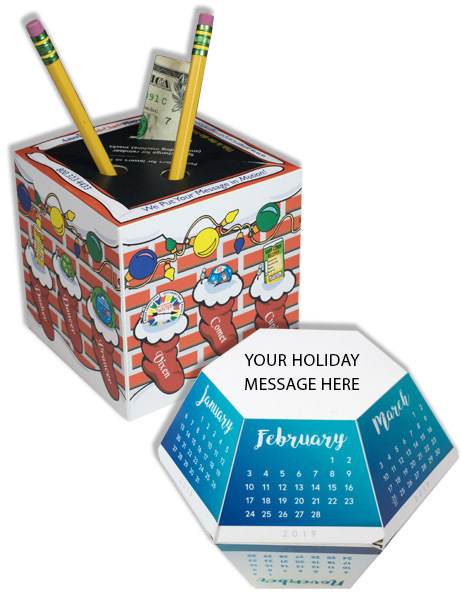 Don’t just send a Christmas Card, have it double as a pen holder like this cube. You can also include a calendar like this cute blue and white pop-up or even add a string to the top to make it an ornament! 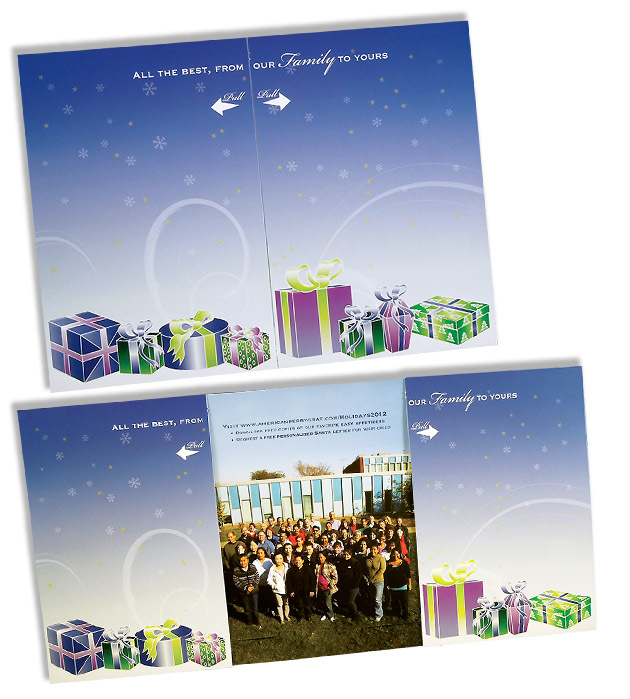 Give your client a reason to hold onto your Christmas card and remember your name. No matter what your age, everyone loves to play with stickers. When a client of ours asked to make a pop-up person, we couldn’t resist. 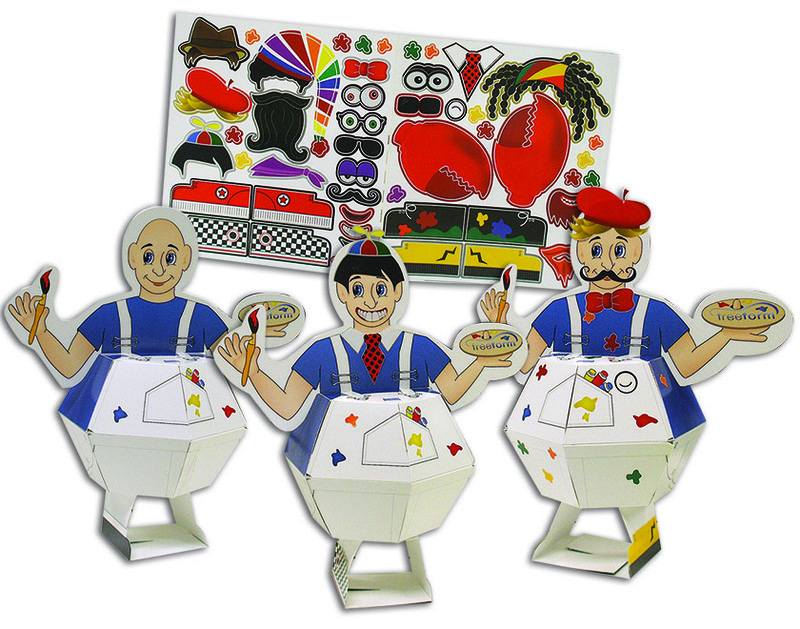 This pop-up came complete with a set of stickers you could dress your person up with. Everyone in the office wanted one and we kept playing with them all year long!